The week before last the OH surprised me with photos of a completely new War Memorial, yes, I know most men bring their wives flowers or chocolate, but photos are cheaper, don't wilt or shed and don't make you fat - so there is something to be said for them. Plus, given my current obsession with War Memorials it was a very nice present indeed. The Wesleyan Methodist Church on Hunningley Lane, Stairfoot, Barnsley. 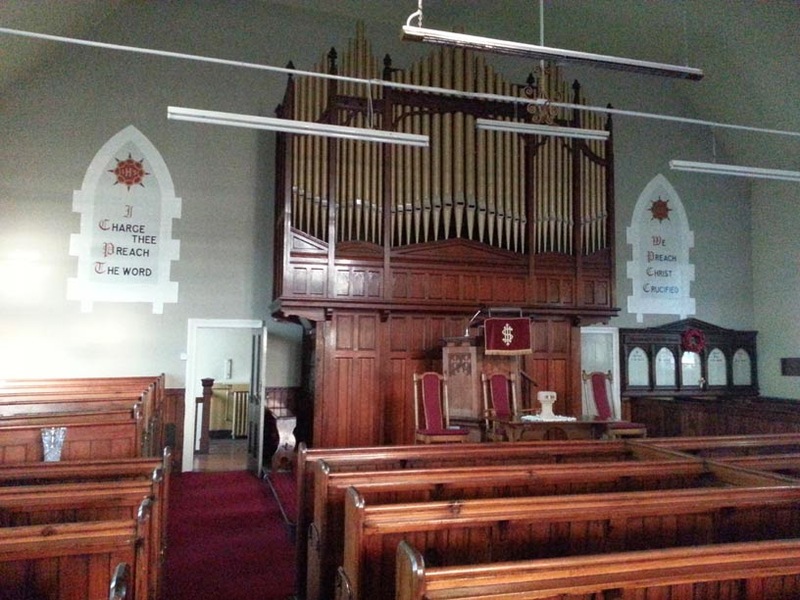 The Roll of Honour is on the right beyond the pulpit and organ. This picture shows the inside of the Church at Stairfoot - I went with the OH the following day to take more photos as the pictures he had taken although tantilising were not clear enough to make out the names of the men on the memorial. As I got up really close to the Roll of Honour I saw that each panel had around 50 names, each with rank, regiment and if applicable cause of death and medals awarded. Click here to go to a page where you can download a full list. This entry caught my eye as you don't often read about someone being awarded a Silver Medal from the King of Montenegro. To be honest I didn't even know where Montenegro was at that point. William Huddleston, of the 16th King's Royal Rifles, Lieutenant and Quartermaster, Military Cross and that Silver Medal. I couldn't wait to look him up when I got home! So, Montenegro is in the Balkans ... I know all about them from my OU studies ... or at least I thought I did. Look, there's Sarajevo where the Archduke Ferdinand was assassinated in June 1914 and Serbia who were thought responsible. I wonder what William Huddleston(e) was doing there? 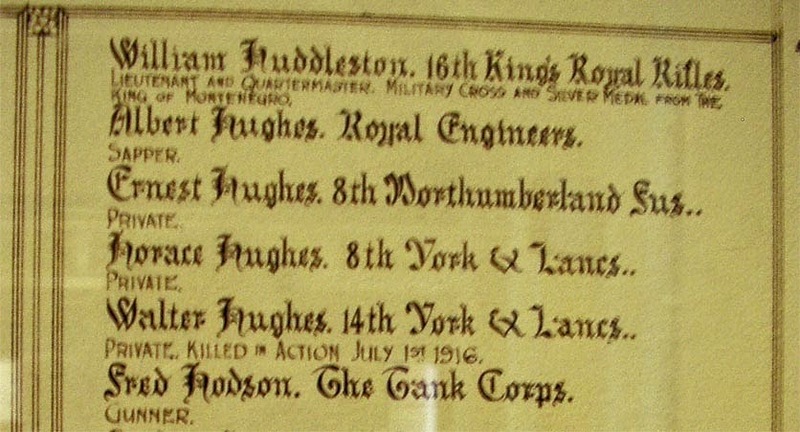 Incidently it seems there should be an e on Huddlestone - but it is missing on the Stairfoot Roll of Honour. I soon found William Huddlestone in the 1911 census on Ancestry. Aged 28 he was a boarder with a family in Stairfoot, his occupation was Police Constable and he was born in Rosedale, Yorkshire. Backtracking I found him in 1891 aged 8 at home in Pickering, North Yorkshire with his widowed mother Sarah, a brother Thomas and a sister Lily. I could not find him in 1901 and had my suspicions that he may have served in the Army before the First World War - many policemen were ex-Army at that time. On Find My Past, in the British Army Service records I found the very man - William Huddlestone, born in Rosedale enlisting in the Yorkshire Regiment on 1 December 1899 in Pickering. He was 18 years old and had been a Farm Labourer. He was 5' 8.75" tall, weight 141 llbs, chest size 33.5", with a fresh complexion, brown eyes and light brown hair. He had tattoo marks on his left fore arm. 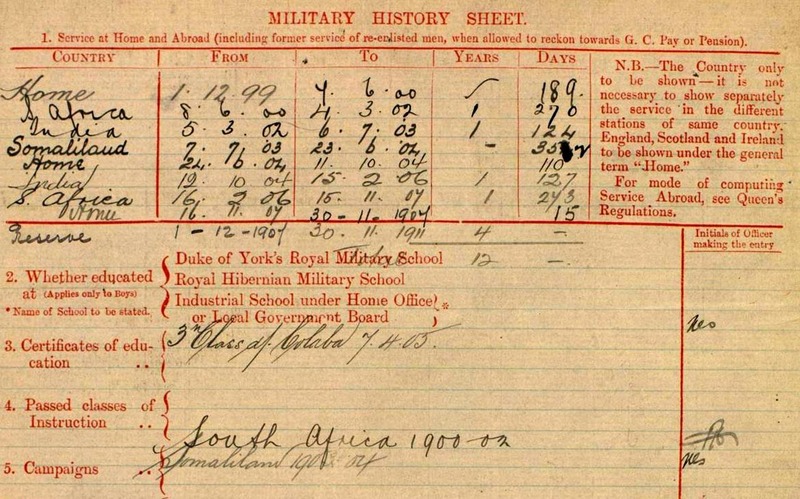 William's service record shows him in South Africa from June 1900 to March 1902 - that's why I couldn't find him in the census! 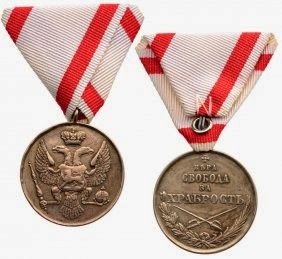 Military Campaign Medal Rolls on Ancestry confirm that he was awarded the King's South Africa Medal with clasps for 1901 and 1902 and the Queen's South Africa Medal with clasps for the Cape Colony and the Orange Free State. He then served in India for a year and half, Somaliland for just under a year - he gets another medal for this - then a quick trip home in 1904 for just three months. Off to India again for another year and a half and back to South Africa in February 1906 for nearly two years then he is transferred into the Reserve in December 1907. In a newspaper cutting from 1935 found on Find My Past reporting on William's police career I see that he was in the Cape Town Police for a while before returning to England in 1908. I am not sure how this fits with his stated military service - does it mean he was in the Police whilst he was in the Army? Anyway, he had lots of experience so on his return he joined the North Riding Police and then transferred to the West Riding Force, to be stationed at Stairfoot. Which brings us nicely back to the 1911 census we have already seen. His presence on a Wesleyan Reform Methodist Roll of Honour suggests he followed that persuasion of religion, so it is not surprising that I can't find his marriage in the West Yorkshire Parish records on Ancestry. However a William Huddlestone marries an Ethel Ambler in the first quarter of 1914 in Barnsley (found on FreeBMD) ... this might be our man. If so there are four daughters born to the couple, Ethel in 1915, Hilda in 1917, Margaret in 1920 and Dorothy in 1921, all but Margaret (Doncaster) registered in Barnsley. This information fits with the newspaper cutting again ... "on rejoining the police after the war he was sergeant at Harrogate for 15 months, from there he went to Goldthorpe in the Doncaster division and later to Royston (which is in Barnsley) as Inspector". So what did he do in the First World War ... the same newspaper cutting, it's from the Yorkshire Post and Leeds Intelligencer 30 December 1935 by the way, states that, "during the Great War he served with the King's Royal Rifles", well that tallies with the entry on the Roll of Honour, "and the Tank Corps, rising to the rank of Captain." His service records, even if they had survived the blitz, would no longer have been filed with the ones on Ancestry as they would have been moved when he became an officer. This leaves me scratting around looking for little clues to put together to try to find out what he did in the war. William's Medal Card, above, shows that he was a Warrant Officer First Class in the King's Royal Rifle Corps and then was commissioned on 20 August 1917. The Roll of Honour says he won the Military Cross - this is a medal for officers so he must have won that after he was commissioned. On the reverse of the medal card is an address - 9 Burngreave Road, Sheffield. Back to that invaluable newspaper cutting ... "He was for three years Inspector at Sheffield". Ah, ha! So at the time they were distributing the British War Medal and Victory Medals, in around 1919 to 1921 judging by other records I have seen, William Huddlestone was already living in Sheffield. Not having Service records for such an interesting character is very frustrating so I tried a search on the new London Gazette website - I don't know what is going on a the moment but Find My Past's site is coming in for a lot of criticism for being dreadful since its revamp and I found the new London Gazette search much harder than the old one. It seems that new technology is NOT the answer to everything! 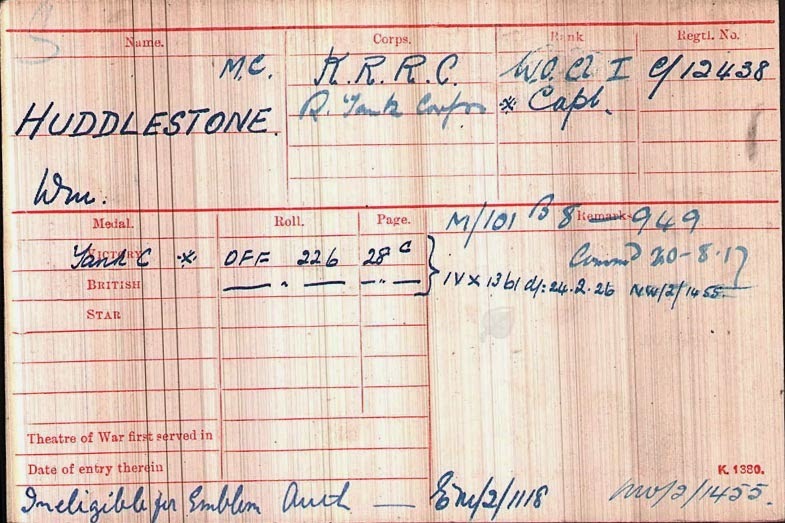 10 April 1918 "W Huddlestone, from temp Qr-Mr and Hon Lt, a Serv Bn., K.R.Rif. C., to be temp Lt. 8 Jan 1918." Translated I think this means he was still in the King's Royal Rifle Corps in early 1918 and his honorary rank of Lieutenant was being made into a temporary one. Qr-Mr must be Quartermaster, as mentioned on the Roll of Honour. 10 Oct 1918 "Temp. Lt. W Huddlestone to be Bn. Equip. Offr., and to be actg. Capt. while so empld. 23 Aug 1918." Unfortunately the regimental heading is missing, there's a bit torn out of the page, but the officers below are Tank Engineers so maybe William has moved to the Tank Corps now. 7 February 1919 " Tank Corps (Equipment Branch). The undermentioned temp Lts (actg. Capts.) to be temp. Capts. : - 19 October 1918 W Huddlestone, H.N. Fearnley." William is definitely in the Tank Corps now - but it doesn't sound like role at the front - more in stores and admin. Here's the citation for his Montenego Medal! Won whilst he was the Company Serjeant Major of the King's Royal Rifle Corps. Interestingly I was told recently that the 16th KRRC was raised from the Church Lads Brigade. Maybe his connections with the church at Stairfoot influenced his choice of regiment. That's pretty! I don't actually think it means he was in Montenegro though. I'm getting the impression that the King of Montenegro was one of our allies and presented medals as recommended ... more research needed. William Huddlestone was promoted to Superintendent in 1927 and in 1935 was in charge of the Doncaster Division of the West Riding Police Force. In December 1935 he was appointed Chief of the Criminal Investigation Department of the Force at Wakefield. He was awarded an MBE in the Coronation Honours List in 1937 while he was the Chief Superintendent of the West Riding Constabulary. Yorkshire Evening Post 11 May 1937. His claim to fame on retirement in February 1939 is that Conan Doyle, author of the Sherlock Holmes stories, mentioned him in a book. "We were on the same ship out East, and apparently he had occasion to remember a Yorkshireman 'telling off' some natives in very plain language, and he explained how and why in one of his books". The cutting where this is mentioned is from the Evening Telegraph of 1 February 1939. This is not the end of William's story though - war broke out again in September 1939 and you wouldn't have expected him to fail to volunteer. He would have been in his late 50's by now but he was appointed to the Local Defence Volunteers. This time we get a photo. Of course we know the Local Defence Volunteers better as Dad's Army! The write up notes that William Huddlestone had 10 police and military medals ... I think I'd need a bigger blog post to get them all in if I could find mention of them all. Well done him! Not bad for a farm labourer from Pickering! William dies on 3 March 1963 at Pinderfields Hospital and his widow Ethel survives him. He leaves a will and his Probate record on Ancestry records his home address and the amount he left. I wonder who got the medals? Thanks for reading my post and for your kind comments. I hadn't realised that so many of the individual battalions in WW1 were affiliated in this way. I know about the Miners' Battalion of the KOYLI and the Pals Battalions of course, but it seems there are many more. The Yeoman Rifles were, I believe, the last Pals' battalion to be formed- to incentivise farm labourers and the like to join, the battalion was made part of the King's Royal Rifle Corps to give them a certain edge. It is likely that William Huddlestone became Quartermaster of the 16th Battalion, which would explain the connection. My knowledge of him comes from information from a friend about the 21st Battalion- Huddlestone was CSM of B Company, which was made up of recruits from the West Riding. His company commander, Captain Brooksbank, was given the Military Cross for the same event as Huddlestone- he was a fruit farmer from British Columbia (although originally from Tadcaster), who later died in Queensland (a well-travelled gentleman! ).